Dave Levy is the Vice President for Federal Government and not for profit sales at Amazon Web Services. Prior to coming to Amazon Web Services, he headed up Apple Computer’s government sales. Fred Diamond: Tell us a little more about what you sell today and tell us what excites you about that. Dave Levy: At Amazon Web Services today, we’re in a number of business. Everything from IT infrastructure to media space and the internet of things space and it’s exciting because if you just look at connected devices over the next couple of years there’s going to be billions of devices connected everywhere at the edge from our homes to planes to our buildings and those connected devices by design have relatively little CPU and disk and so it makes the cloud disproportionately important and it just presents a tremendous opportunity for us to innovate on behalf of our customers. It’s very exciting. Fred Diamond: In the federal side, who do you primarily sell to? Is it the government customer or integrators? Who primarily do you spend most of your time with? Dave Levy: Our end customer is the government and we spend a lot of time with all the federal agencies: DOD and civilian and National Security and everything in between. Fred Diamond: Very good. Tell us a little bit about the beginning of your sales career, how did you get into sales as a career? Dave Levy: That’s a funny one. I actually started in sales at 8 years old. My uncle owned a shoe shine stand in an office building and my job was to go get customers for him every day so it was really exciting to go out and see all the business people coming in and in their great clothes coming in to have meetings and do deals and it excited me, it really painted a picture for me to want to be in business and sales one day. It was exciting to get them to the shoe shine stand and get their shoes shined so their shoes could look as good as the rest of their outfit. That was my start. Fred Diamond: Did you have other sales jobs growing up as well? Dave Levy: Yeah, I worked everywhere from, I think there was a store called Best Products where I was in sales, that’s where I first got exposed to computers. I sold cable in college back when there were things like digital cable radio and in the early part of my career I spent time in the investment business at Merrill Lynch so everything from stocks to bonds to you name it, whatever kind of investment vehicle we had at the time. Fred Diamond: Right now you’re running federal sales in one of the top technology companies in the world, of course you were at Apple before that. What are some of the lessons you took away from some of your first few sales jobs that have stuck with you today? Dave Levy: I think for me it’s always been about customers and delivering value so the most important thing I think that I learned early on was to be squarely focused on customers. If you are, and you’re listening to what they’re saying they’re going to tell you what they need and how they need it. Lot of companies can be product focused or competitor focused. At Amazon I think that that can work but I think at Amazon we’re very customer focused and that lets us hear what customers are saying and frankly invent on their behalf when we’re asked to. Fred Diamond: Very good. Tell us a little more about yourself, what are you specifically an expert in? Tell us a little more about your area of brilliance. Dave Levy: I don’t know that I’m an expert in anything in particular. I think part of being in sales and business your whole career is to be constantly learning. I think if I had an area that I point to that I work on all the time, it’s that I try to deliver as much value as I can every day. I try to impact not just customers but my teams, my colleagues, people at all levels of the organization, our engineering teams. When I come in each day, that’s usually what my focus is, is how can I have a big impact with customers, partners and our team. Fred Diamond: Dave, one of the main themes that has come through the hundreds of Sales Game Changers podcast interviews we’ve done is just that, is that you need to bring more value now more than ever and you just mentioned that’s something you strive for every single day. What does that look like? What does bringing more value look like to your customer or to the people in your team? Dave Levy: A little bit is what I said earlier, sometimes companies have strategies that are focused around products and those strategies can work but that’s just not how I think about things and Amazon certainly doesn’t think about things like that. When we say more value, I think we’re talking about listening to where customers are really going, what they need to deliver better for their internal customer set, what they need to deliver more value. In terms of federal government it’s about how can we improve capabilities for the war fighter. How can we improve citizen services. When we think closely about what those are, that drives what we want to develop for our customer. Fred Diamond: Very good. Take us back to an impactful sales career mentor and how they impacted your career. Is there somebody you could tell us about? Dave Levy: There is, there’s one person. I won’t mention his last name but I had a sales leader named Kevin who, I’ll tell you, he really took an interest in me and to this day I appreciate that. He asked me a couple of things, one day I showed up for work and he said, “Why aren’t you already an executive or a CEO and driving an expensive car?” and I think at the time I was 27 so I was a little taken aback by that. I think where he was going with that was you have everything you need today to be successful and what it requires is practice, focus, discipline, commitment and learning your craft and so I always took that to heart. Fred Diamond: There’s a lot of young sales people here at Amazon Web Services and you probably managed some at Apple as well. Do you get approached to mentor them? Do people ask you for mentorship and advice? Dave Levy: All the time, yeah, quite a bit. My approach to mentorship I think is I’m happy to – first of all, I think you’ve got to lead by example. The best mentor you can have is watching somebody who’s successful and learning from how they operate every day. If the concept of mentor is you want somebody to bring you along and pull you along in the organization, I don’t necessarily subscribe to that. I think mentorship is really about helping people develop themselves. Fred Diamond: As a sales leader, what are the two biggest challenges you’re faced with today? Dave Levy: I think here for Amazon it’s really about hiring the best and developing the best and we spend a lot of time doing that focused on looking for the best people we can find and then developing them. Fred Diamond: Any other challenges? The second challenge you might come across or is that primarily the big one? Dave Levy: I think that’s the biggest challenge we have, is looking for talented individuals that want to work with us and that want to be a part of this journey. Fred Diamond: Dave, why don’t you take us back to the #1 specific sale success or win from your career that you’re most proud of? Dave Levy: I don’t think I have one, there are number of times I think where we have had a huge impact on customers throughout my career and it wasn’t just me, it was a team effort. There are places in law enforcement where we’ve had significant impact in terms of delivering capabilities all the way down to the investigator. I can think of a specific organization that is in the business of keeping us all safe and us bringing a capability to them that allowed them to catch bad people faster and those outcomes were real. To be specific, there was a case where a young person was abducted and we were able to work with that customer in a way that they had the capabilities and advance to identify that and have a really good result. Really excited about the value we were able to deliver there. Fred Diamond: Dave, you’ve had a great career in sales. We know you’re running Amazon Web Services federal sales, before that you ran Apple’s government sales. Did you ever question being in sales? Again, you started out when you were 8 helping your uncle with his shoe shine business. Was there ever a moment where you thought to yourself, “It’s too hard, it’s just not for me”? Dave Levy: No, never. I just don’t see it that way. 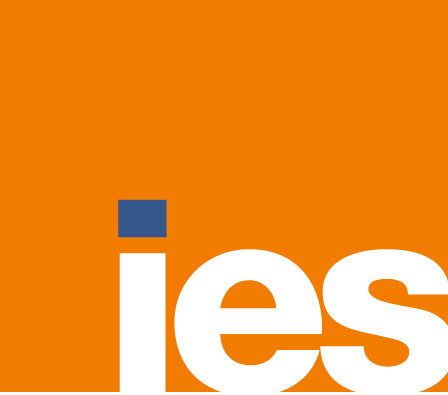 We have such a huge opportunity in business in general and in particular in the public sector but if you think about what amazon is doing with respect to cloud, if you look at a company like AirBNB from a standing start that company has really innovated in the accommodations industry and there are just so many opportunities out there to listen to customers and innovate with them and innovate on their behalf so there’s never been a moment where I questioned it. The opportunities are just limitless for us and customers. 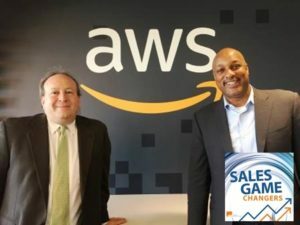 Fred Diamond: Dave, before we take a break and listen to one of our sponsors, a lot of people listening to the Sales Game Changers podcast around the globe are probably familiar with Amazon Web Services, of course they’re familiar with amazon but they may not be familiar with the federal marketplace. You devoted a good portion of your career to serving the government customer and you’ve already talked about some of the value that you look to bring to them. Can you give the Sales Game Changers listening to today’s podcast a little bit of insight into the federal government marketplace and why you’ve devoted your career to serving that market? Dave Levy: There’s tremendous opportunities. Our federal government does amazing work at all levels whether it’s war fighter or citizen services or what we’re delivering programmatically or protecting our national lands. We have a tremendous opportunity to help them do that better and that’s what we’re focused on and our citizens deserve it, our war fighters deserve it and we’re very focused on that. Fred Diamond: Dave, what’s the most important thing you want to get across to junior selling professionals to help them improve their career? Dave Levy: I would say be a great business person, not just a great salesperson. Practice your craft and learn, learn, learn. Stay focused on what you can deliver for customers and partners every day. Fred Diamond: Very good. You’re at the top of your game, what are some of the things that you do to sharpen your saw and stay fresh? Dave Levy: I’m a reader, I read everything. I probably on average read about 100 books a year and it’s not just business books. It’s everything from history to art history to politics and fiction so for me, sharpening my saw means constantly reading. Fred Diamond: Is there anything you’ve read recently that you want to share with our audience that they should pick up? Dave Levy: I’ve read a lot recently, on the business side there’s a couple of good books. Scale is a good book, I think I really enjoyed that. It’s about the ability for cities and communities and businesses to scale. I also like Andy Grove’s book, “Only the Paranoid Survive,” I’m reading that again because I think it’s a great lesson in how to stay sharp and how to stay present for yourself and for your customers. Fred Diamond: That was one of the most impactful business books I have ever read as well, so good for you. Dave Levy: And I’m reading a book on Cicero, so there you go. Fred Diamond: OK, very good. What’s a major initiative you’re working on today to ensure your continued success? Dave Levy: At Amazon we’re working on a lot of things and we’re always focused on thinking about what customers want and listening to them. I think one that is currently going through a change is databases. If you look at enterprises for the last several years have really been under the pressure of the old guard data base providers and they’re very expensive, some other practices look at their expensive and they can be very costly to maintain. A few years ago customers came to us and said that this is an area that they wanted to think differently about and the result of that was Amazon looking at PostgreSQL and MySQL as a commercial grade database and putting together a service called Amazon Aurora and you get the performance of a commercial grade database but at one tenth the cost. This is an area that’s really exciting, I think customers will look really hard at some of these services, it’s our fastest growing service and I think it’s something they can see a lot of benefit from. Fred Diamond: Very good. Dave, sales is hard. Again, you’ve had a great career. You’re heading up Amazon Web Service’s federal government sales and also non-profit sales as well. Again, you had a great career at Apple Computer before that but sales is hard, people don’t return your calls or your emails. You serviced a federal government customer, used to be easy just to walk into a government building, now you obviously can’t. With certain degrees of security, if you will, it’s very challenging. What is it about sales as a career that has kept you going? Dave Levy: I’ve never seen it as hard. It is such a huge opportunity and really it’s a privilege to work with customers and in particular our federal and nonprofit customers who have such a strong mission in their organizations, in their agencies so it’s really a privilege to go in and think about how we can partner with them to continue to make their organization better, continue to help them deliver. It’s a huge opportunity and I’ve never seen it as hard. Fred Diamond: Dave, why don’t you bring it home? Why don’t you give us one final thought that you’d like to share to inspire our listeners today? Dave Levy: Practice, practice, practice. Practice your craft and you always overestimate what you can accomplish in a short amount of time and you underestimate what you can accomplish in your career in a longer amount of time.